Pendrell Hall is an Exclusive-Use Wedding Venue With Rooms. On your wedding day the only people wandering around the grounds of the fabulous parkland estate are your family, friends and a few discreet staff to make sure your day runs perfectly. I have to say that finding an exclusive use wedding venue was high up on my priority list when I was looking for a wedding venue with rooms. The last thing I wanted on my wedding day was strangers gawping at my dress, or worse still, crashing my wedding reception! Exclusive-use just guarantees that on the most joyous, exciting and let’s face it, sometimes nerve wracking day of your life, you can relax and enjoy being surrounded by people who care for you. adventure, villainy and intrigue (how fantastic!). Like all Victorian buildings it is blessed with rooms of wondrously large proportions, high ceilings and beautiful, large windows. Thus the three bedroom suites combine magnificently large proportions with contemporary, inviting interiors. what today’s couples are looking for in a wedding venue. Not for them, sticky carpets and hideous velour chairs, oh no! They have transformed Pendrell Hall into a wedding venue with rooms which meets the needs and expectations of today’s discerning couples. partners. All three suites are unique; when the Bride and Groom view Pendrell Hall they can view all three suites to see which suits them. For me, it would be ‘Pink & Rose’ just so I could enjoy a deep bath whilst admiring the view! 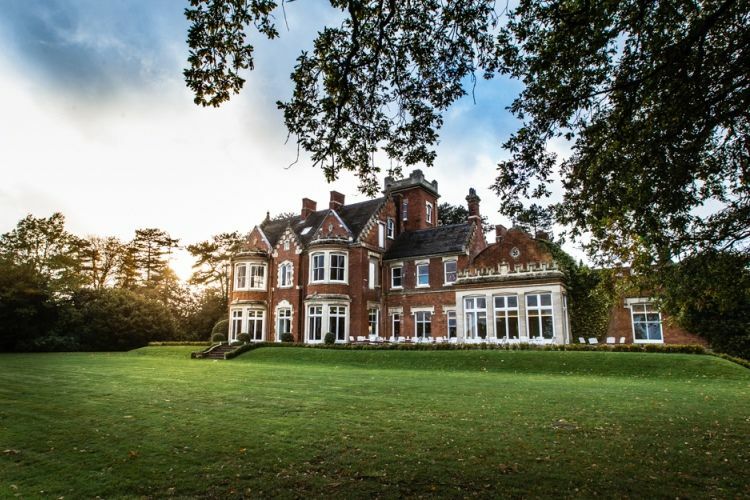 space for news of the all new Pendrell Hall Accommodation E-Brochure, coming soon with details and gorgeous photographs of all the different options for both you and your guests at this sensational wedding venue with rooms. Up to 60 guests can stay here at Pendrell Hall in addition to the Bride & Groom.